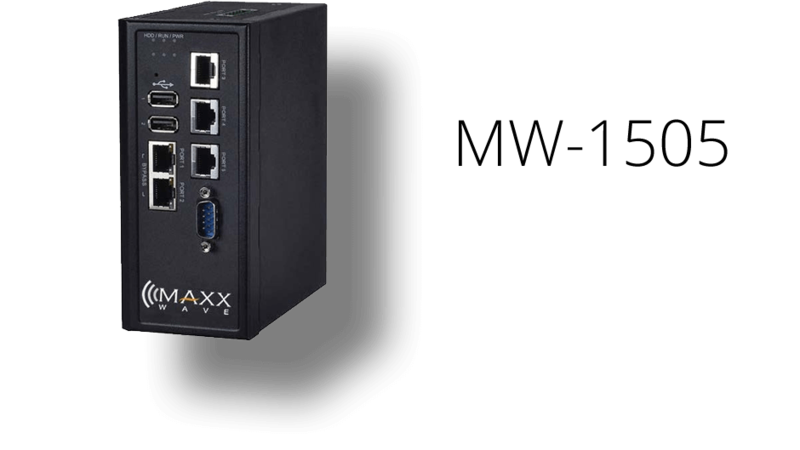 The Routermaxx MW-1505 is a rugged, industrial-grade cyber security appliance designed to cope with challenging conditions at extreme temperatures. Featuring compact DIN Rail form factor and front facing I/O options, the fan-less MW-1505 is ideal for protecting networks in power utilities and other industrial infrastructures. It also functions as a gateway controller for data transmission between remote sites and control centers. The MW-1505 comes pre-configured with MikroTik RouterOS. * MW-1505 does not include a +12-36VDC 5A max power supply. • LAN: 5×10/100/1000Mbps ports, Auto-sensing, RJ45, with one pair of LAN bypass.